Enormous untapped value lies hidden in big data. The opportunity is to monetize your data wealth with actionable insights that drive business decisions. The challenge is to surface those insights better and faster than rivals for lasting competitive advantage. But how? 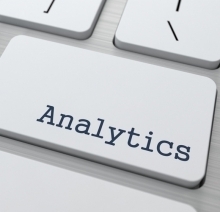 Most large companies invest substantial resources in analytical teams and tools. Most superior analytical technologies come with hefty price tags, require specialized knowledge to use, and produce complex outputs that do not readily translate into clear business decisions without “interpretation” by data scientists or business analysts. The answer is not analytics per se, nor ever-larger investments in personnel or technology that are hard to justify in terms of ROI. What you need are actionable insights powered by a new technology that takes you from data rich to insight rich quickly, easily, and with pinpoint accuracy. Robust. Intuceo uncovers hidden actionable insights using cutting-edge machine-learning and ensemble techniques, augmented by iCube-proprietary algorithms. It extracts patterns and builds predictive models that reveal not only the what behind the data, but also the why and the how. Intuitive. Intuceo works with you. It develops simple if/then rules, which it “translates” into simple statements supported by clear, easy-to-understand visualizations. It even allows you to explore scenarios to see which actions could deliver the greatest value. Fast. Intuceo shortens the cycle time from data input to output, enabling you to outthink, outpace, and outmaneuver your competition. Its speed advantage is especially felt during data pre-processing, insight generation, and model building. Cost-effective. Intuceo is competitively priced, and its high productivity helps to reduce operating costs. Your existing business intelligence is bolstered, delivering more insights and more predictions with only nominally more investment. Quick InsightsTM preliminary insight validator. Hidden InsightsTM deep insight extractor. Each of these engines is modularized for easy, independent use. However, all you have to concern yourself with are the results. If you choose one of our analytic solutions, a dedicated Intuceo representative, backed by our team of data scientists, will do the work on the back end for you and deliver the power of Intuceo to you.